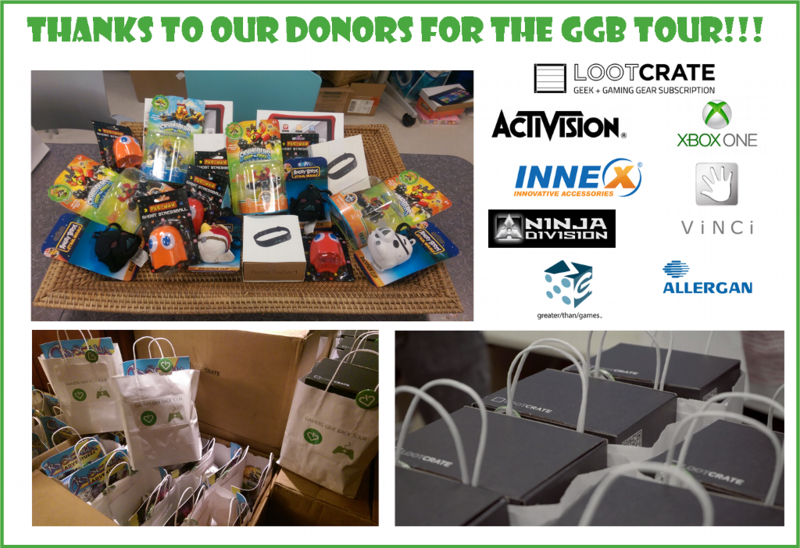 DONATE & SUPPORT THE GAMERS GIVE BACK TOUR! 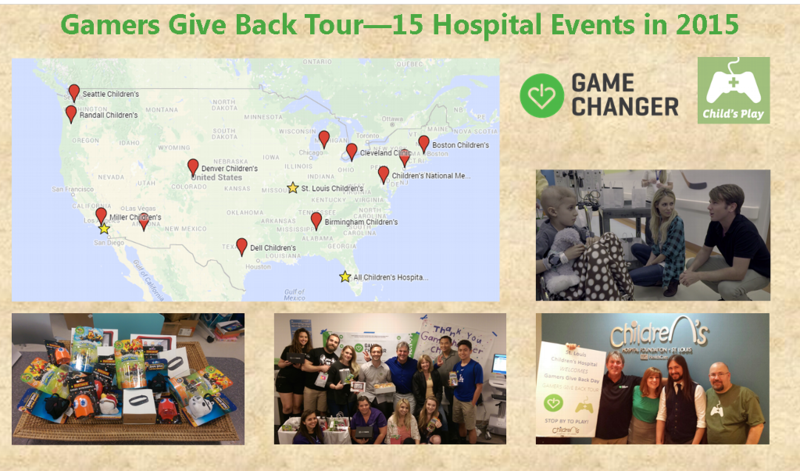 The Gamers Give Back Tour is a partnership between GameChanger & Child's Play during which the charities will be hosting events at hospitals around the country in celebration of how games, thoughtful gifts & stories of hope can make an impact on the lives of patients, families & staff in children's hospitals! 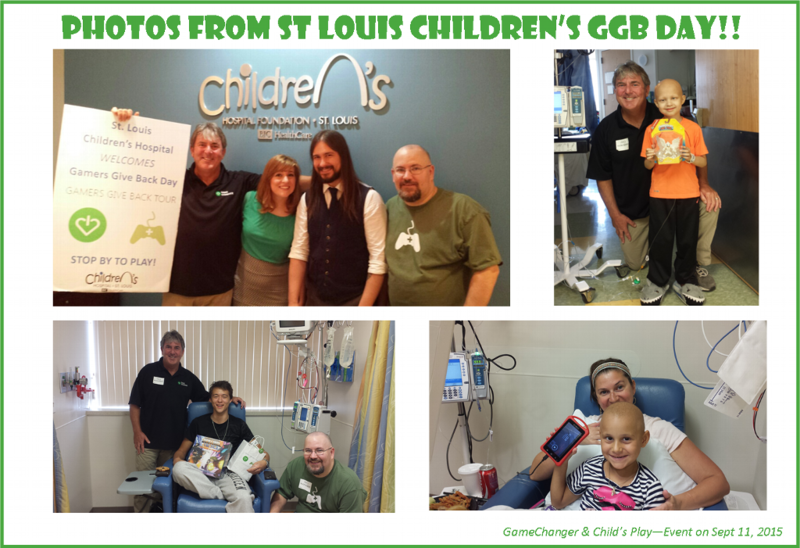 Each Gamers Give Back Day is an uplifting, love-filled celebration that brings smiles, hope & lasting memories to every hospital visited. Events include a variety of activities ie distributing delicious catered meals, delivering age-appropriate gifts to patients in their hospital beds, and personally interacting with inspiring young individuals ultimately resulting in a truly life-changing, eye-opening experience for all! The events are made incredibly special by honoring the entire hospital staff (ie nurses, doctors, child-life, custodians) and showering them with gifts + thank you cards for the thankless work they do. 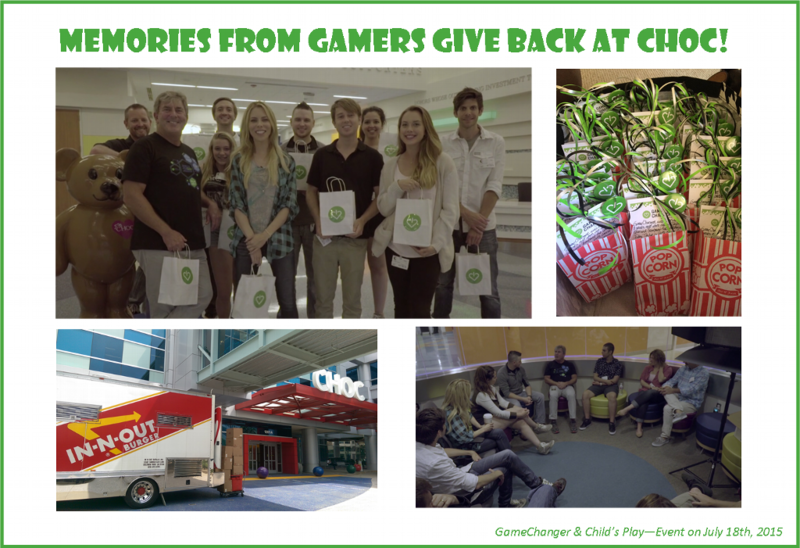 The goals & outcomes desired for the Gamers Give Back Tour can be best summarized by a quote from CHOC Children’s Child Life/Special Programs Coordinator Amber Chavez, “It was the best day ever and you gave these patients, families and staff a day they will never forget! 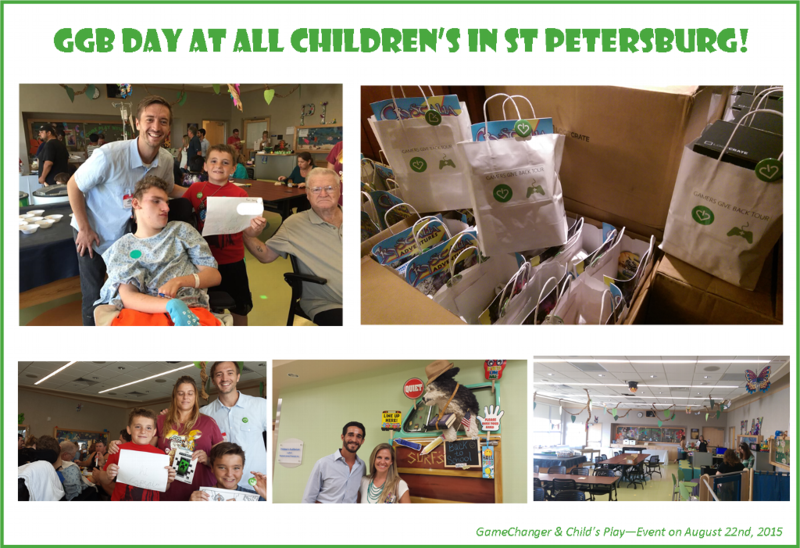 I hope to do another event with GameChanger charity & Child's Play because you truly make a difference :)“. Corporate donations & sponsorship opportunities - We graciously accept donations of video games, excess inventory, toys & other age appropriate excess inventory that can be used in our gift packages for hospital patients & staff! We'll feature your products in photos with the patients, promote top sponsors & allow donors to participate in exclusive volunteer activities. If you're interested in donating product, please contact info@gamechangercharity.org or call 949-661-3000! Spread the word - Please tell your friends & local community about the Gamers Give Back Tour! We hope to inspire hospitals around the nation for years to come, so you can help by telling your local hospital about the chance to host a Gamers Give Back Day!